Since the advent of this novel in 1933, Shangri-La, the setting for this utopian novel, has come to mean a place of peace and contentment to people all around the world. James Hilton (1900 – 1954) was, like most of his contemporaries, deeply impacted by what contemporaries called “The Great War” (World War I). A war so horrific, many wondered if it would doom civilization. 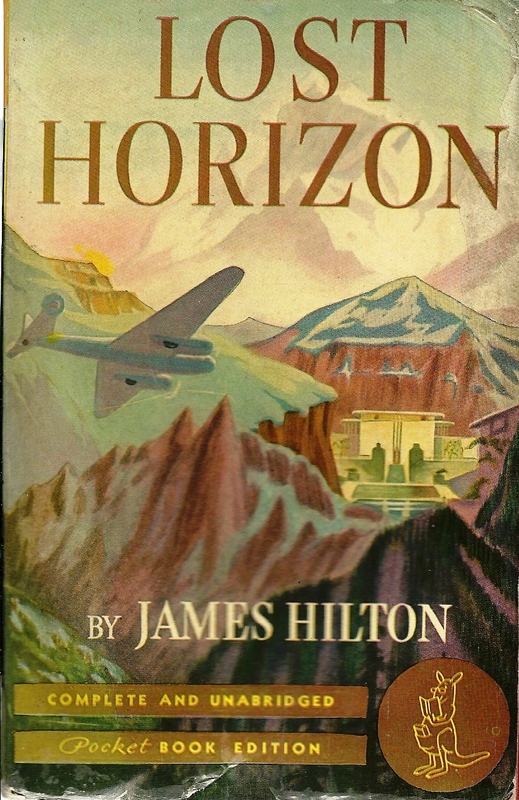 Hilton, born in England, wrote several books exploring aspects of the war. 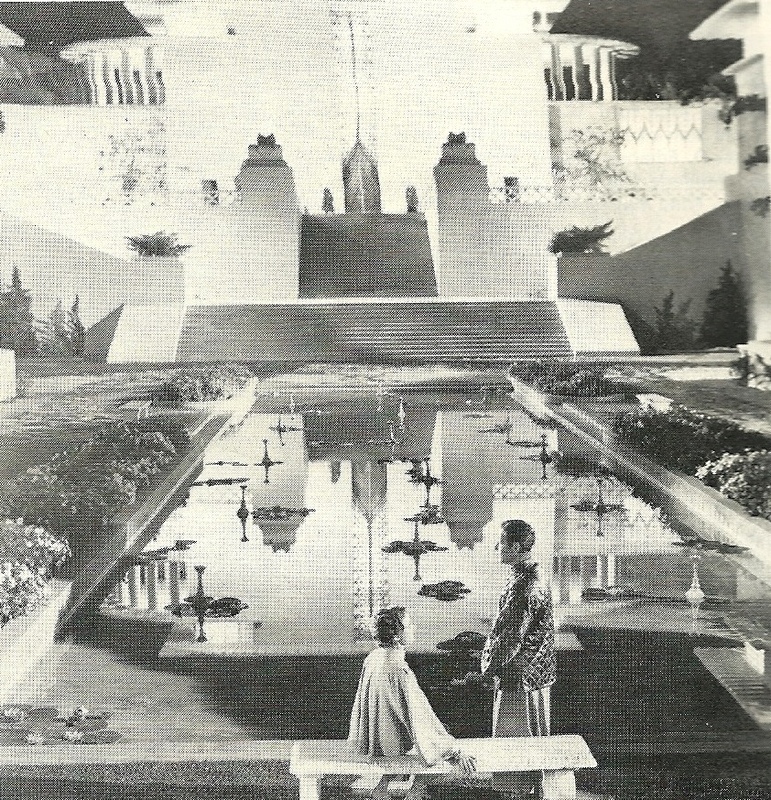 This one, however, set in 1931, conceptualized a mythical utopia set high in one of the remotest parts of the Himalayas. Here, if the world self-destructed, civilized life could be given a chance for a rebirth in Shangri-La, where the High Lama has discovered the secret of extending life beyond even 200 years. 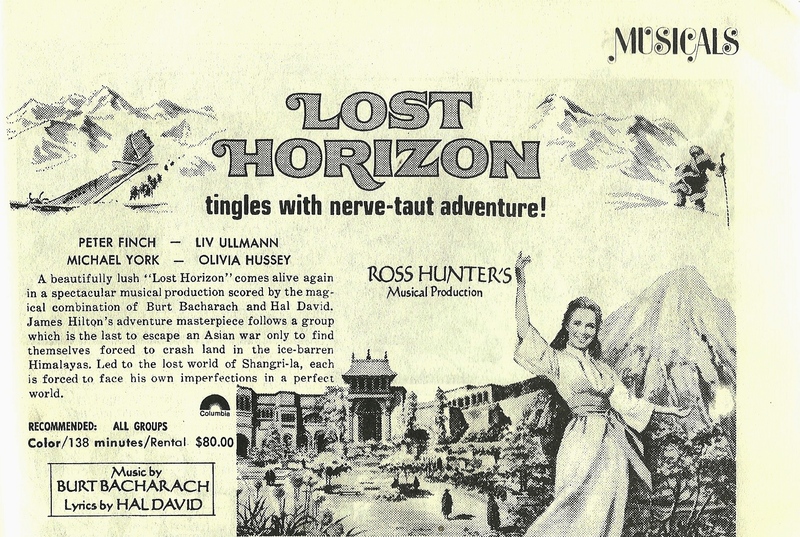 The vehicle bringing five passengers (four British, one American) is a high altitude plane that somehow made it to the mountains of the Blue Moon. It is a riveting romance that has fascinated readers and movie-goers ever since it was printed. Its original publisher: William Morrow & Co., Inc. It was widely reprinted in hardback by Grosset & Dunlap and in trade paper by Pocket Books. Questions readers will ask themselves are these: How much of this book could be true? What lessons about life can be learned by reading it? Is it a true happier-ever-after utopia—or might it have elements of a dystopia in it? When you purchase your own copy, be sure it is unabridged. It’s not a very long book anyway. Actors: Ronald Colman, Jane Wyatt, Sam Jaffe, H. B. Warner, Thomas Mitchell, Edward Everett Horton, Isabelle Jewell, Margo – Academy Awards (2). Nominated for 5 Academy Awards, including Best Picture, Best Supporting Actor. It is a rare movie masterpiece that touches the heart of all who experience its dream—that some little plot of earth exists to which one can retreat, safe from the ravages of time and the world—one’s own little Shangri-La.